We did a Valentine's Day shoot for Rose & Rex, my absolute favorite toy shop. 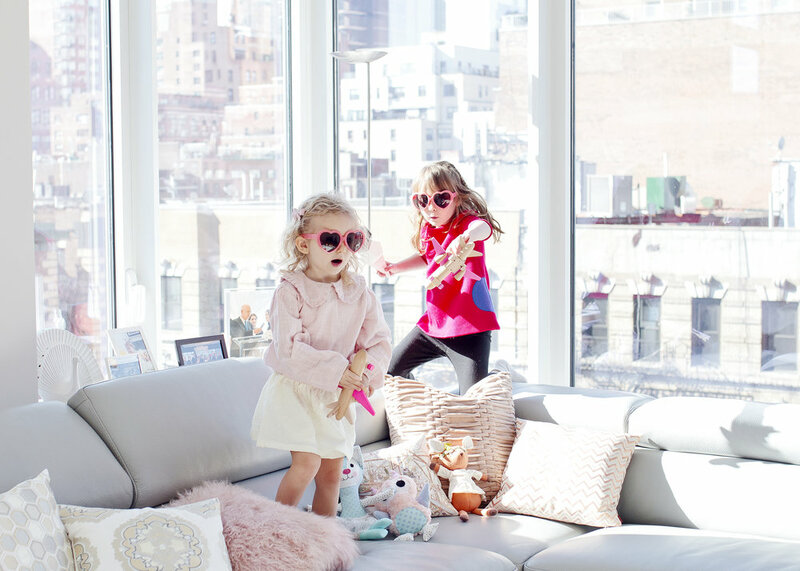 If you follow this blog, you probably already know how much I and Olive adore them! And shooting children in an environment that they enjoy, is the best -- so, as you can imagine, this shoot was a blast. 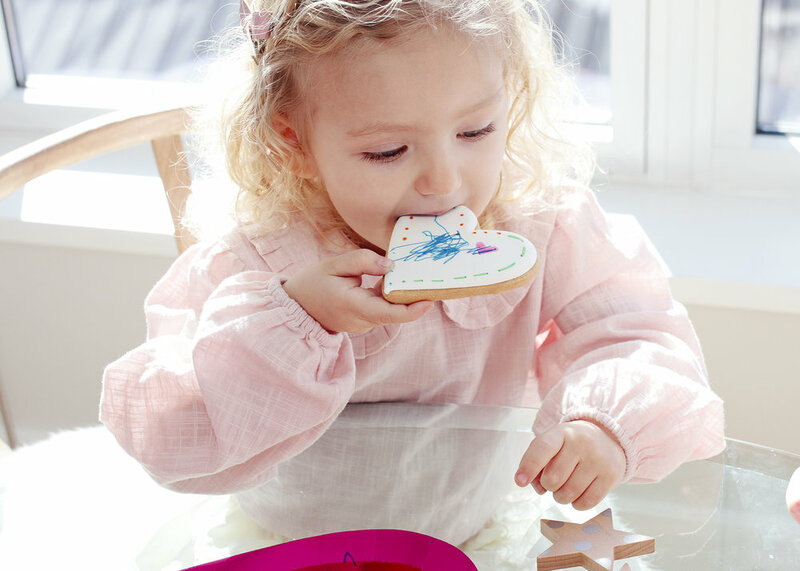 New magical toys, cookie decorating and some bright sun -- life is good. Here are some of my favorite shots of the day. Childhood is a time of wonder. Young children radiate curiosity that’s waiting to be nurtured. But today, most children lead schedule-focused lives. Rushing has replaced spontaneity. Results are valued over process. Increasingly, play and academics are viewed as oppositional instead of intimately connected. Rose & Rex believes that play is the foundation for all learning and development. It is a vital source and functional tool that helps children gain fundamental skills that they will carry through school and into adulthood. Olive wore: Pink collared blouse from Cloth Shop, Black and white dot dress from Nelly Stella, pink leather bow from SweetNSwag.